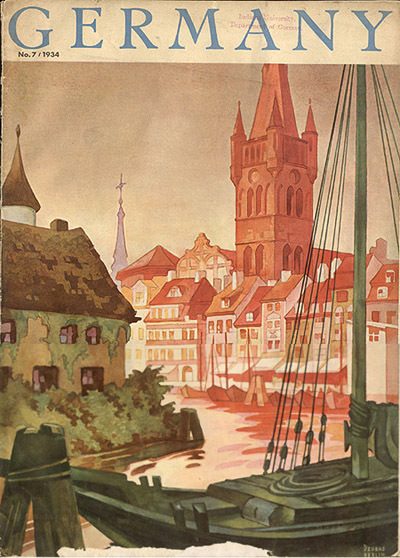 Magazine "Germany," 1934 with the cover poster "Königsberg, View of the Church and the Old University." Published by the German National Tourist Office. Signed "Willy Dzubas, Berlin."